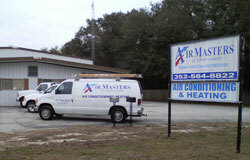 At Air Masters of Citrus County Inc., our priority is you, the customer. We are a family owned air conditioning and heating company, serving Ocala, Crystal River, Spring Hill and beyond since 1998. We provide the absolute best in heating and A/C service to homes and commercial clients throughout Florida; our technicians are all factory trained and involved in continuing education through yearly classes. 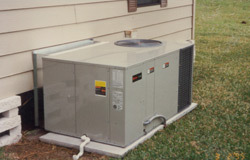 Our goal is to provide unparalleled service for our customers' comfort, health and energy efficiency needs. Using our high–efficiency and Energy Star® rated HVAC and air filtration systems, you can use less energy, cut down on utility costs and live and work in comfortable interior spaces year–round. Contact Air Masters today to discuss your choices for a sustainable and cost–effective HVAC system.